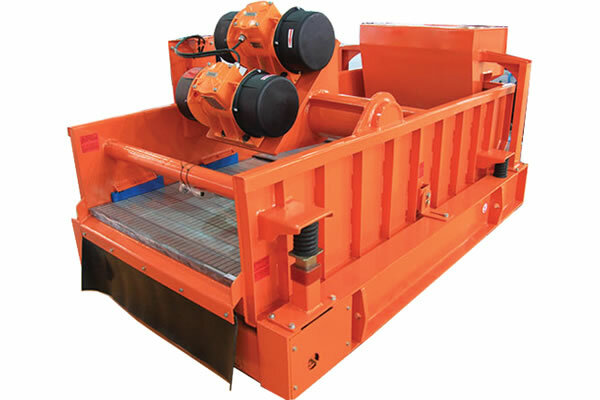 Drilling waste management system is also called drilling waste disposal system, its main equipment includes drying shale shaker, drilling cuttings spin dryer, spiral conveyer, screw pump, etc. Mud no-landing disposal system not only solves the rig site environmental problem perfectly, but also secondly recovers the drilling waste generated by rig site solids control system, and maximize the reserve of useful mud, meanwhile, centralize and solidify the drilling cuttings after re-treating, to reduce the destroy of environment which is caused by rig site operation. During the process of oil and gas drilling operation, water-base mud and oil-base mud are usually used. 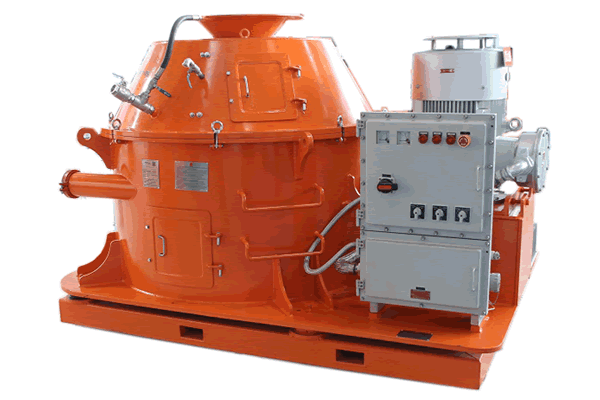 Conventional solids control equipment can recover heavy barite and useful drilling fluid, if these solid phase parts which contain heavy metal and chemical compound (oil content is 12% to 18%) are not treated and discharged by random, long-term sedimentation will seriously harm natural environment and human beings’ living environment like the adjacent vegetation, soils, underground water, etc. As environmental protection requirements are increased, higher requirements for rig site drilling cuttings disposal are demanded. 1. Drilling waste management system adopts advanced drilling fluid drying technology, which could recycle effective fluid from the drilling cuttings to reach a high effectiveness in solidification treatment. 2. These useless solid phase has low water contain, transportation is easier. 3. Great effectiveness in drilling cuttings drying of oil based and compound based drilling fluid. 4. Give a further screening and dewatering for solid phase granular after first stage treatment, promoting the effect of overall treatment. 5. Drilling waste disposal system adopts special drilling fluid pouring process when treat the big quantity drilling fluid, promoting the efficiency. 6. Modular design assures convenient, efficient move and transport. 7. Submersible cable running design to make the well site tidy. 8. Treatment procedure is simple and practical, less equipment needed, with a larger treatment capacity. 9. The whole unit is easy operating with less operators and low cost in operation and maintenance. 1.Our mud no-landing system adopts domestic advanced technology to design and manufacture, with powerful system configuration, which effectively control moisture content (6%-10%) of drilling cuttings of drilling mud. 2. Drilling waste management system control moisture content of drilling cuttings to stabilize performance of liquid phase and realize that the mud is treated through drying without falling to the ground. Then under the condition of its non-destructive liquid phase, satisfying secondly reinjection and reuse. 3. Drilling waste disposal system can effectively realize social value of current environmental requirements, maximize the economic value of rig site drilling mud for effective utilization. 4. This system is docking domestic advanced technology, comparing with advantage and disadvantage of overseas and domestic same products, maximize to overcome current industry drawbacks. 5. The system is no need to add chemicals, so basket is not easy to be blocked. No need of big floor area, it is easy to install and operate. 6. Strong processing capacity and low maintenance cost: waste solid phase after disposal with low water content.